The Rockies’ summer sixteen wasn’t nearly as extravagant as Drake’s, but it was a significant improvement over a last place finish in 2015. The Rockies finished the season with 75 wins, the most since recording 83 wins in 2010. 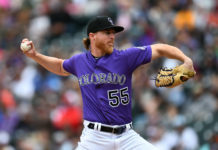 The starting pitching had a tremendous impact on that shift, highlighted by Jon Gray setting a single-game record 16 strikeouts, and is a source of optimism for the first time in a long time. Possibly a bigger headline, though, was the youth movement that made their debut in 2016. 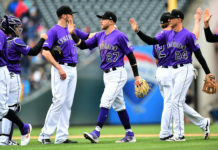 From Trevor Story, who was in the running for Rookie of the Year before succumbing to a season-ending injury, to Jeff Hoffman, who was the main piece in the Troy Tulowitzki trade, the Rockies’ young talent impressed. While 2016 had moments where it seemed like the team could contend for a Wild Card spot, more often than not, it was something of a learning experience to get prepared for next season. With that, we’ll be going through some of that young talent this week, looking at how they grew up during their first season in the big leagues. Today, we start with pitcher Jeff Hoffman. Jeff Hoffman has a large tattoo spanning across the upper half of his back. In large black script letters lies the word “Fearless.” Before Hoffman can explain why he got the ink, Tyler Chatwood, Nick Hundley and Tom Murphy interrupt and lay into him for having it in the first place. While all the battery mates enjoy giving each other a hard time, Hoffman said it represents a mentality he has developed while on the mound. Even with Hoffman’s ferociousness, results weren’t translating after he was called up in August. The execution wasn’t there, and he was sent to the bullpen. 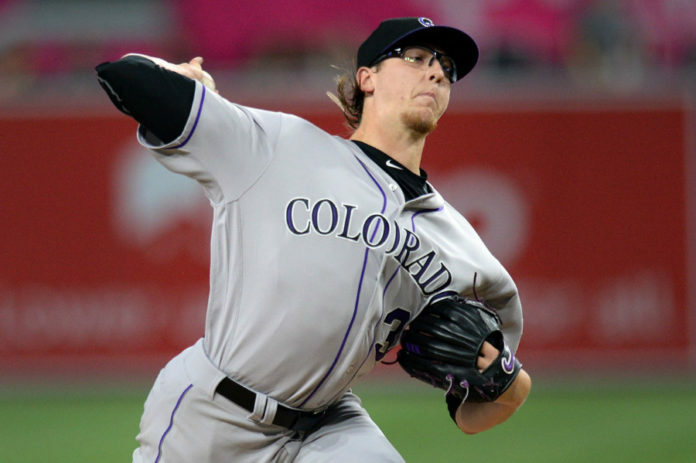 The move limited his innings but Hoffman said the bullpen helped him get right. There was no time to pace himself. Only attack. After coming out of the bullpen, Hoffman was very insistent on starting. When Tyler Anderson was shut down for the season with general arm soreness, a spot in the rotation opened up, and the righty took advantage. He only gave up one run against the Brewers in his final start of the season. Limited to only five innings, Hoffman’s experience in the bullpen helped him finish strong. Hoffman’s career is shaping up very similar to the guy who sits to his right in the locker room. Just one year apart, Jon Gray has been an integral part of the growth of Hoffman in the last couple months of the season. Gray and Hoffman both came up the ranks as elite prospects, and it’s easy to see why. While both struggled during their first stint in the majors, the raw talent was evident. They’re special players. When rookies are gaining confidence from each other, it shows how the mentality and the makeup of these Rockies are changing. This core youth movement is growing together. This is a part of a week-long series. 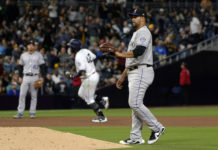 Make sure to check back tomorrow, to hear how Chad Bettis overcame being sent down to the minors three times in 2014 to becoming one of the Rockies’ best starters.